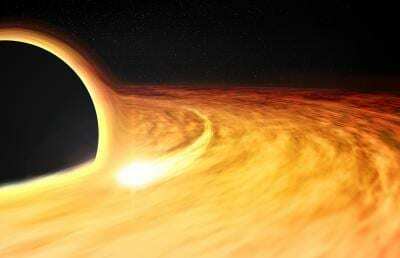 (CAMBRIDGE, MA) – On Nov. 22, 2014, astronomers spotted a rare event in the night sky: A supermassive black hole at the center of a galaxy, nearly 300 million light years from Earth, ripping apart a passing star. The event, known as a tidal disruption flare, for the black hole’s massive tidal pull that tears a star apart, created a burst of X-ray activity near the center of the galaxy. Since then, a host of observatories have trained their sights on the event, in hopes of learning more about how black holes feed.